To read the full article, turn to washingtonpost.com. But Winston emphasized that while independent voters may be in the political center, they aren’t in the “ideological center,” meaning that even under the best of circumstances they’ll be a difficult group for Obama to hang onto. 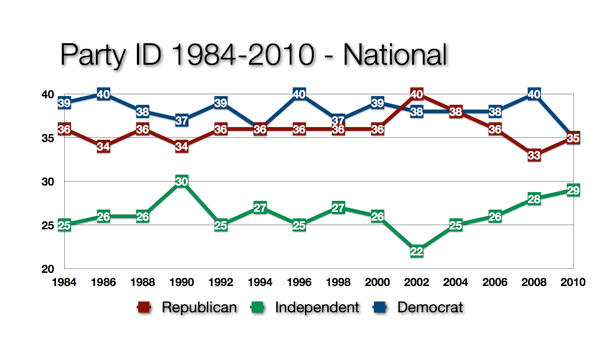 Independents, as Republican strategist David Winston notes, were the key to the GOP takeover of Congress in ’94 and the key to the Democratic takeover in ’06. Right now, they are leaning heavily toward the GOP, and if Democrats cannot win substantial numbers of them back, that thunderstorm will turn back into a tsunami.